The following are the list of foreclosed properties of the Land Bank of the Philippines with prices ranges from P50,000 and above. So if you are a cost-conscious buyer who's looking for a cheaper property to buy for an investment or future use of the family, you can check the list below. 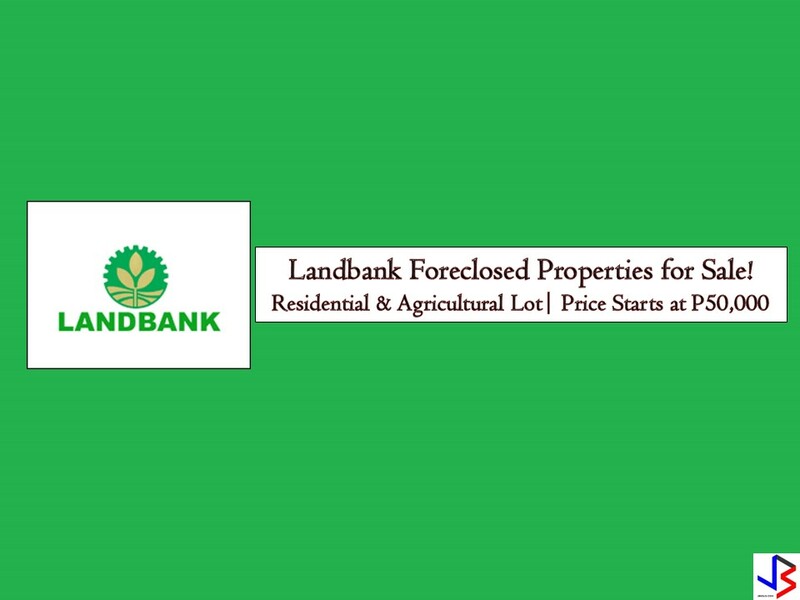 In real estate foreclosure listings below from Land Bank, you can find foreclosed homes or house and lot, vacant lot and any other properties. If you are lucky enough, you may acquire one of this properties at a cheap price compared to those in the real estate market! This article is filed under foreclosure listing, bankruptcy houses, foreclosed properties for sale, real properties for sale, condo unit, vacant lot, house and lot for sale, bank properties.